The fierce and fabulous Alison Gordon joined the Peggy Baker Dance Projects’ board of directors in 2012. 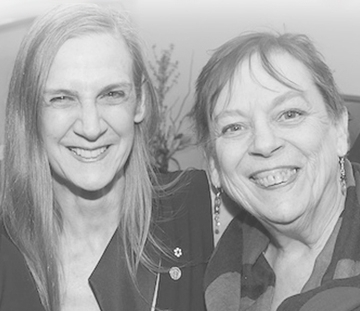 Beyond being a valued board member she was our ally, our colleague, and our friend. Introduced to Peggy’s world of dance through Sean Ling – her Pilates instructor and inaugural Alison Gordon Visiting Artist- Alison brought passion, wit, and a can-do attitude to our meetings and events. To honour her memory, and to reflect her strongly held views around the value of dancers, we at Peggy Baker Dance Projects have created the Alison Gordon Visiting Artist Program which allows the best artists from around the world to come to Toronto and collaborate with the company on various performances.